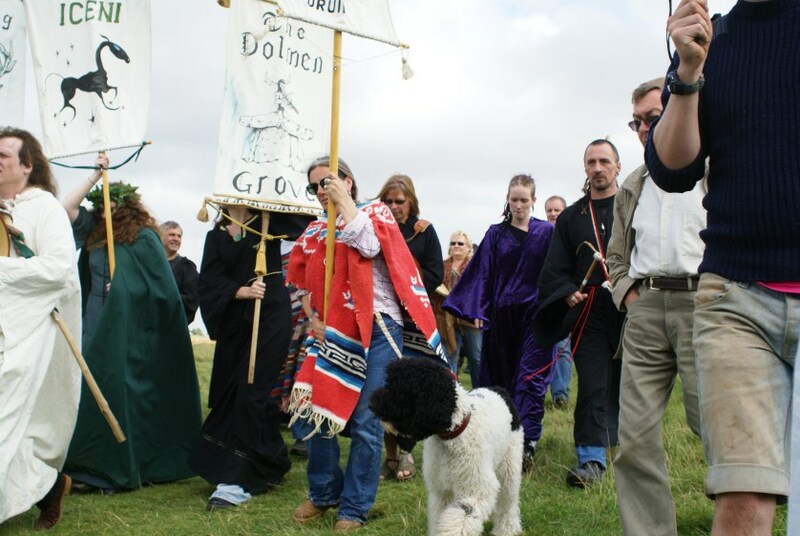 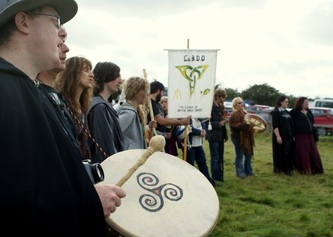 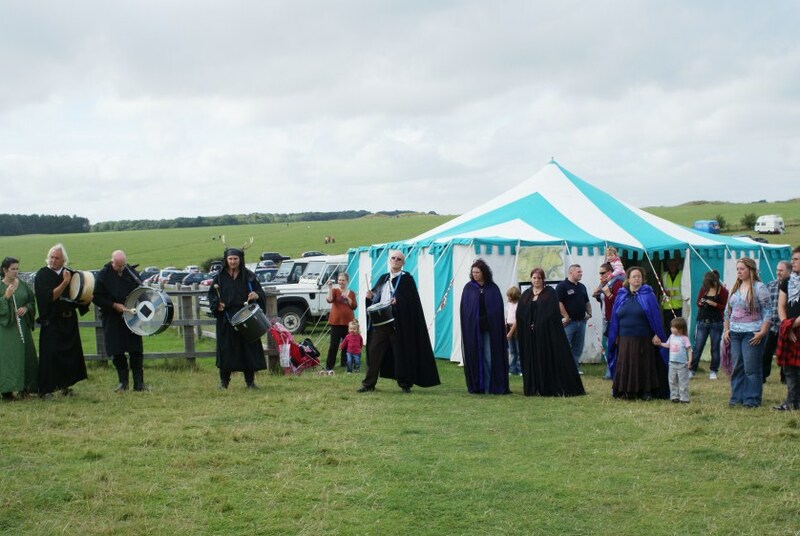 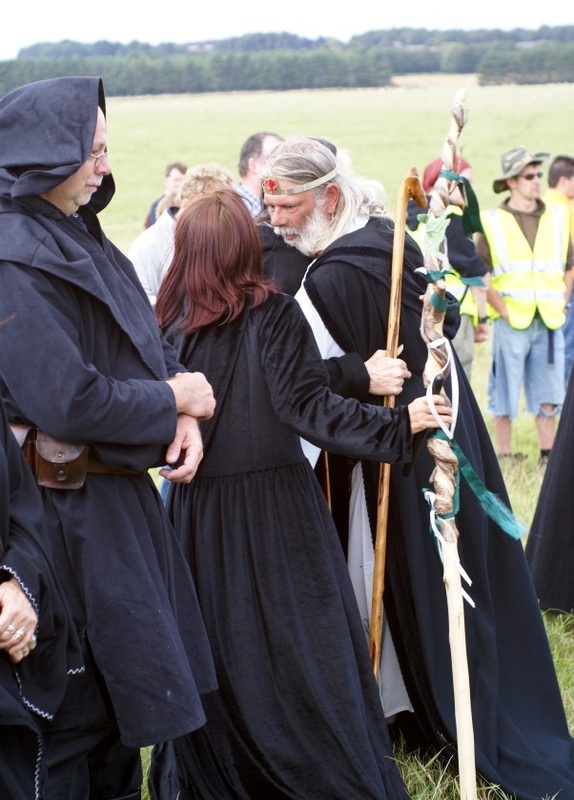 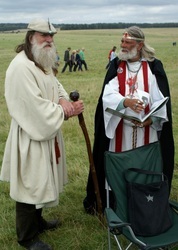 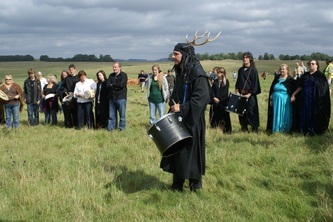 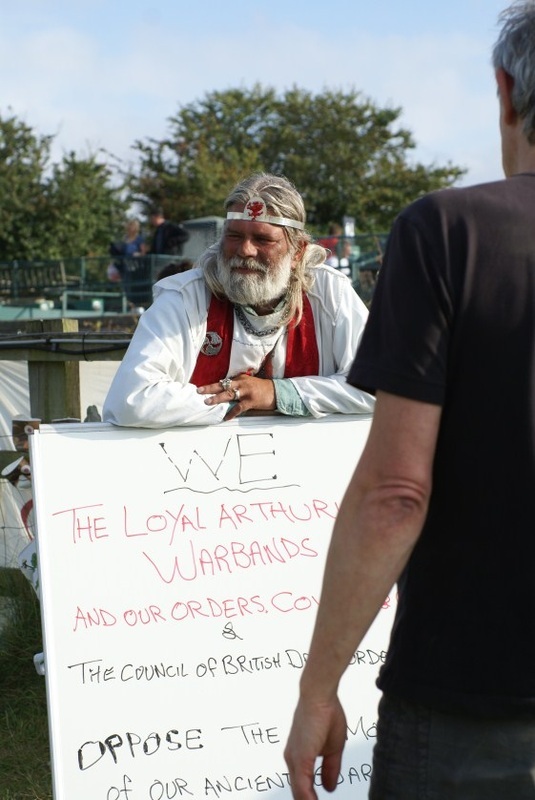 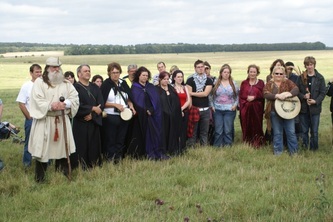 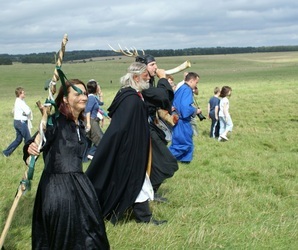 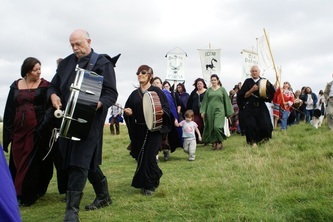 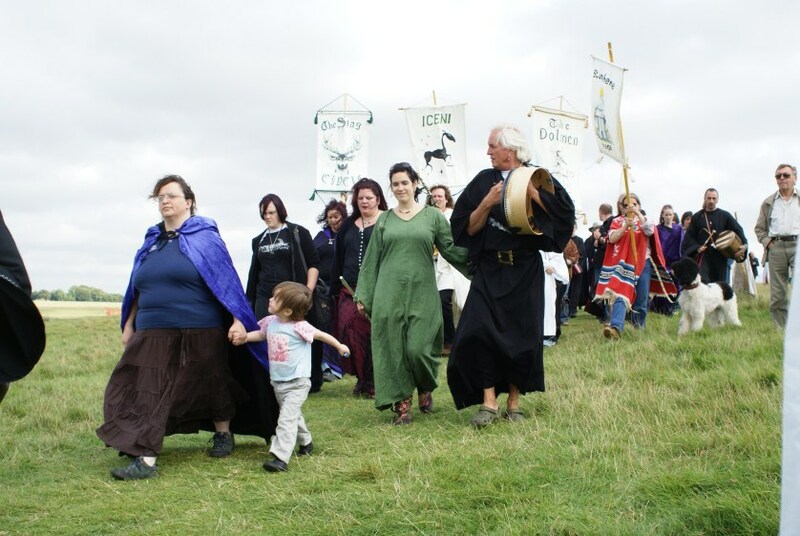 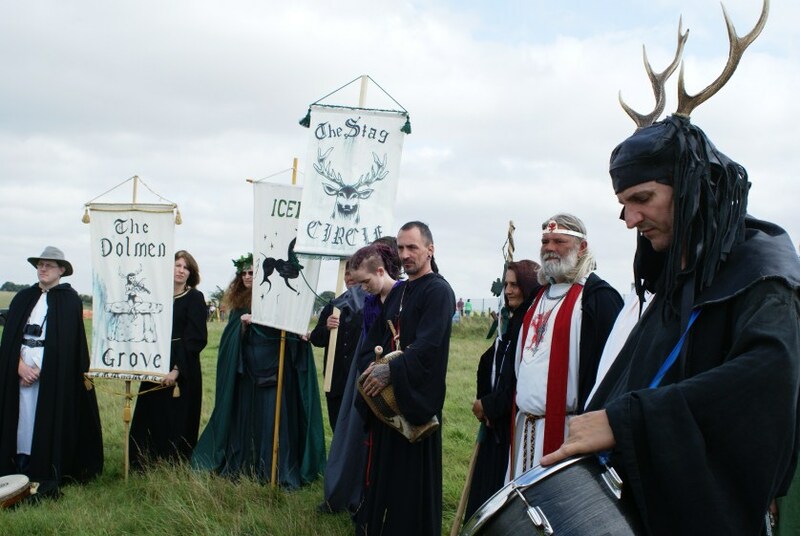 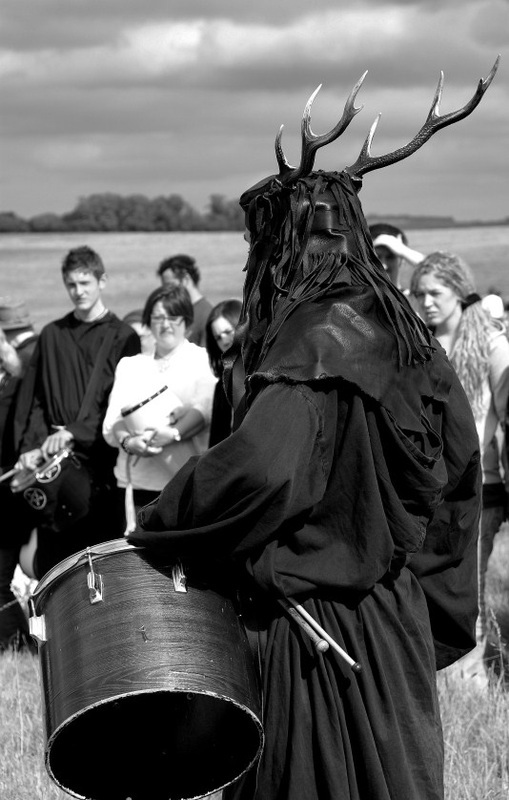 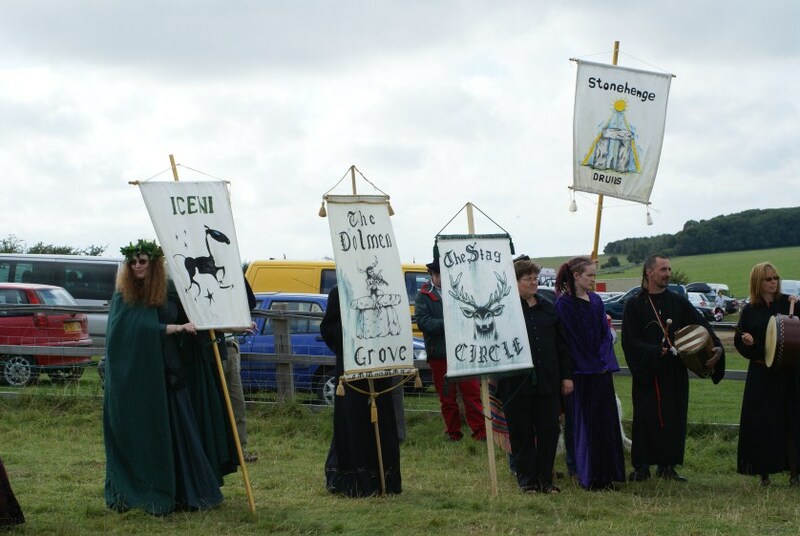 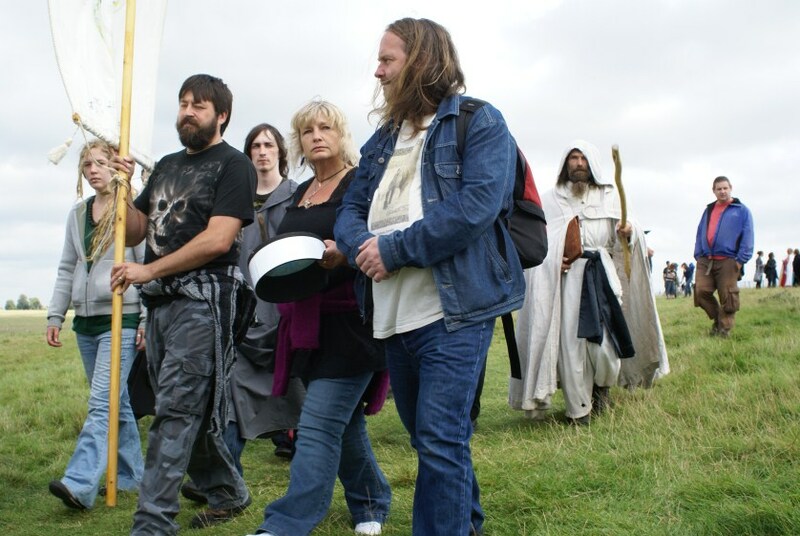 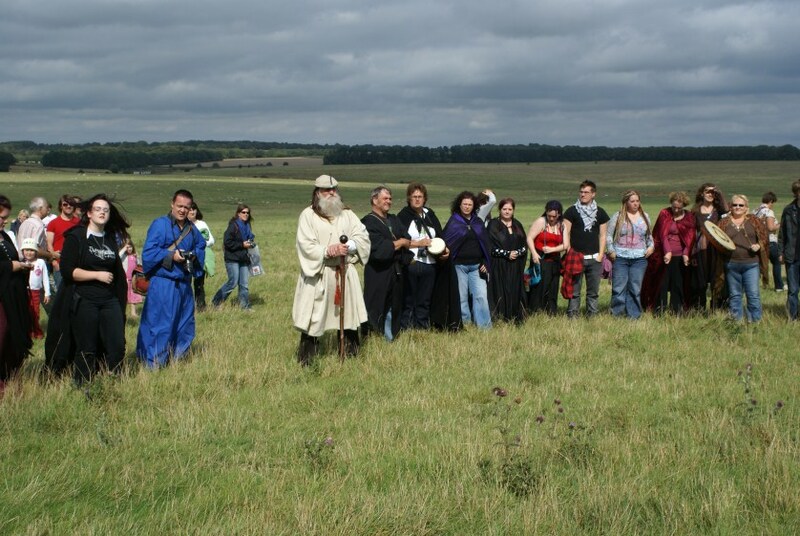 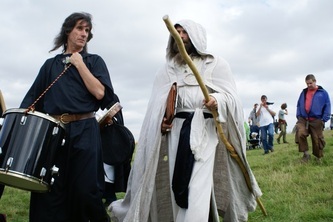 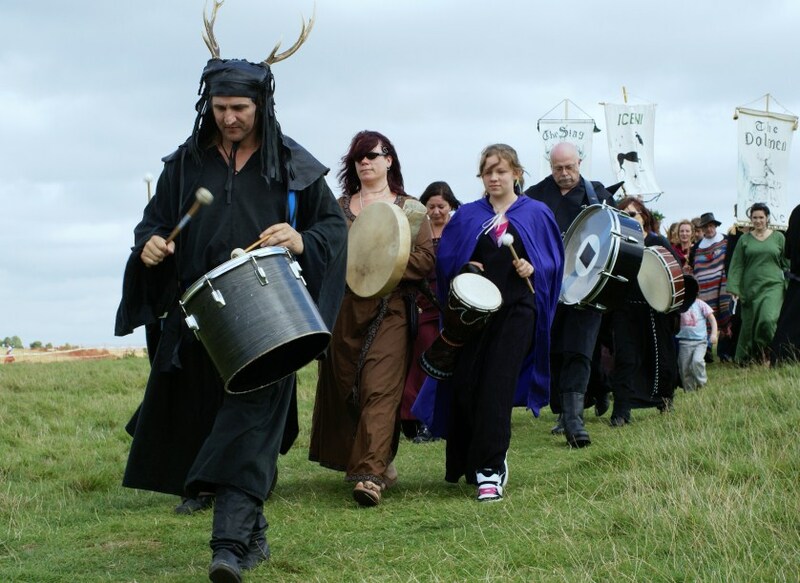 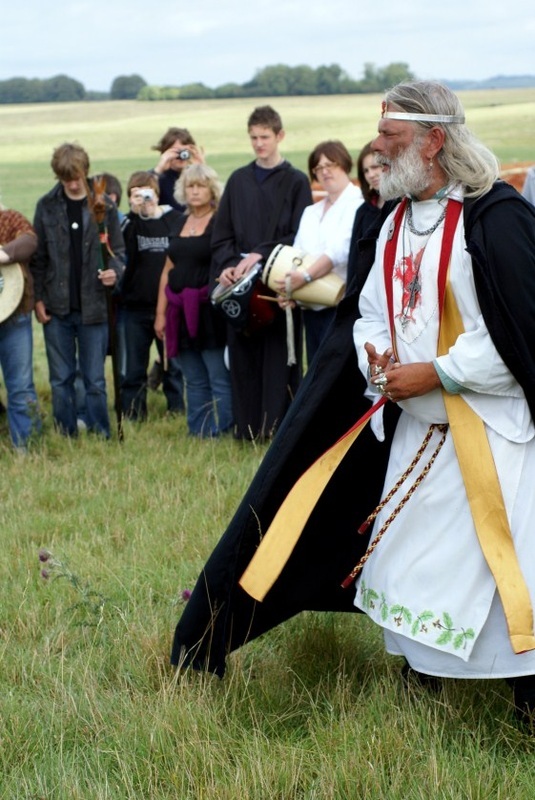 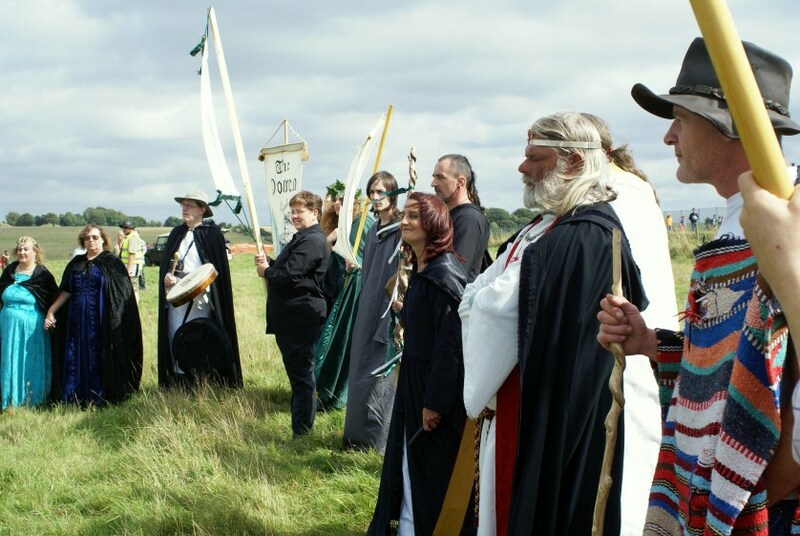 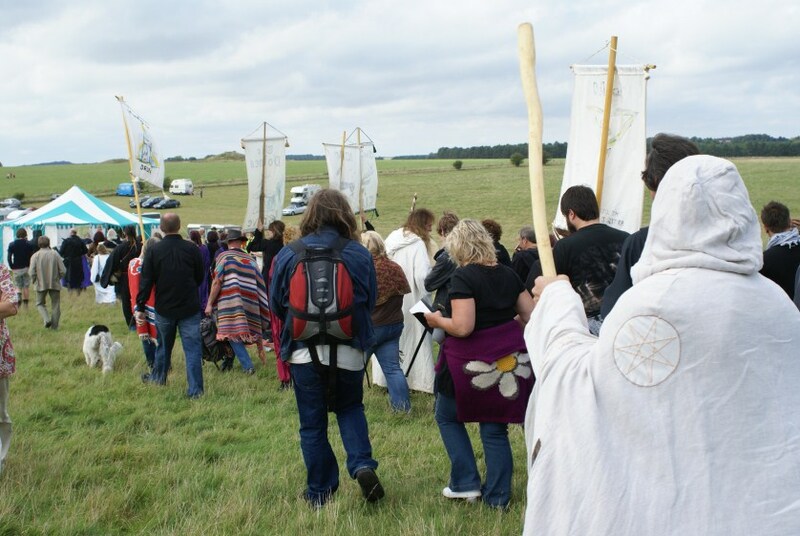 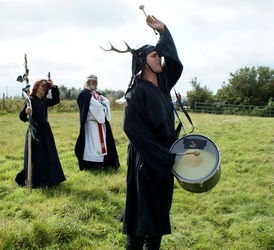 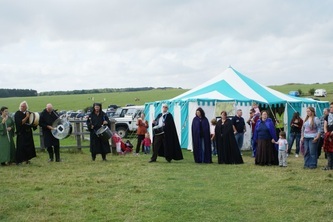 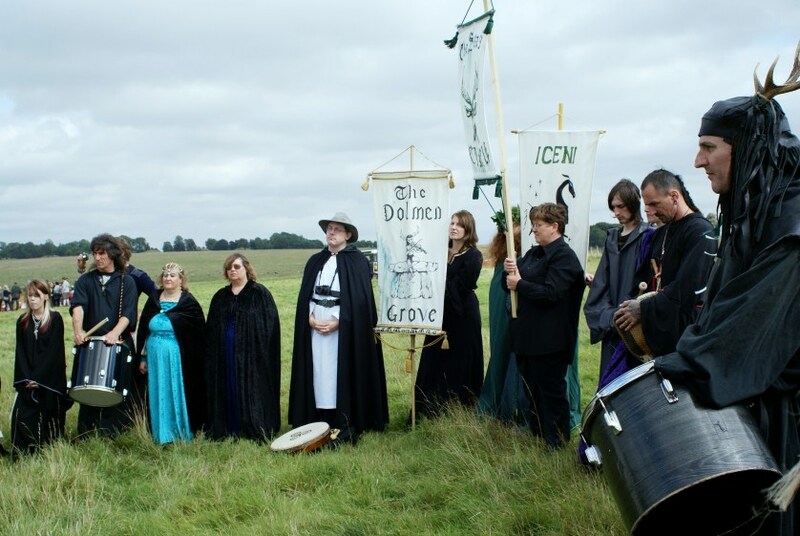 The Riverside Project was due to remove the human remains from Aubrey hole 7 and had invited several pagan groups to perform a blessing before removal. Word got out and Orders, Covens and individuals travelled far and wide to protest. 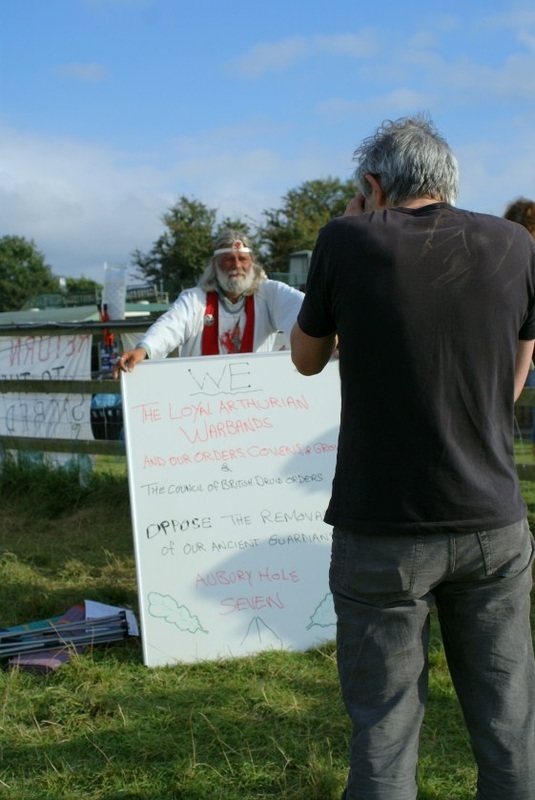 Each party gave their take on the removal. 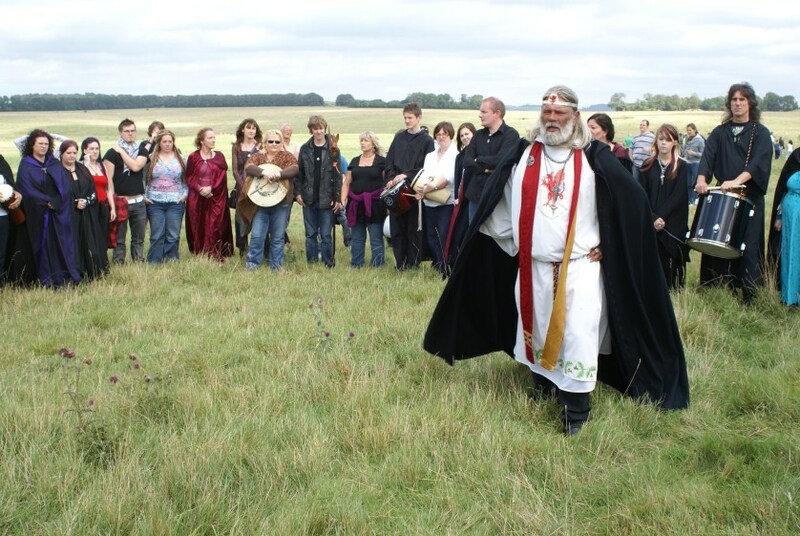 Old grievances were put aside and all agreed that study was necessary but we wanted guarantees that the remains would be returned afterwards. Arthur announced that if any member of the Warband went ahead with the planned blessing that he would excommunicate them. 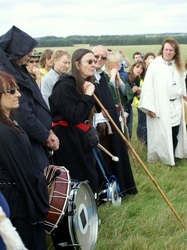 Emma from Honour the Ancient Dead was asked to join forces and she agreed. 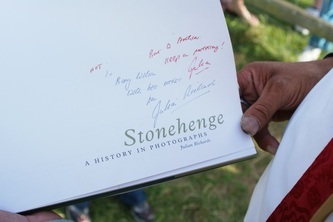 The agreement was sealed with an embrace from Arthur and many others. 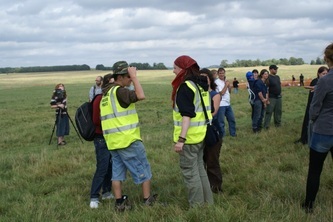 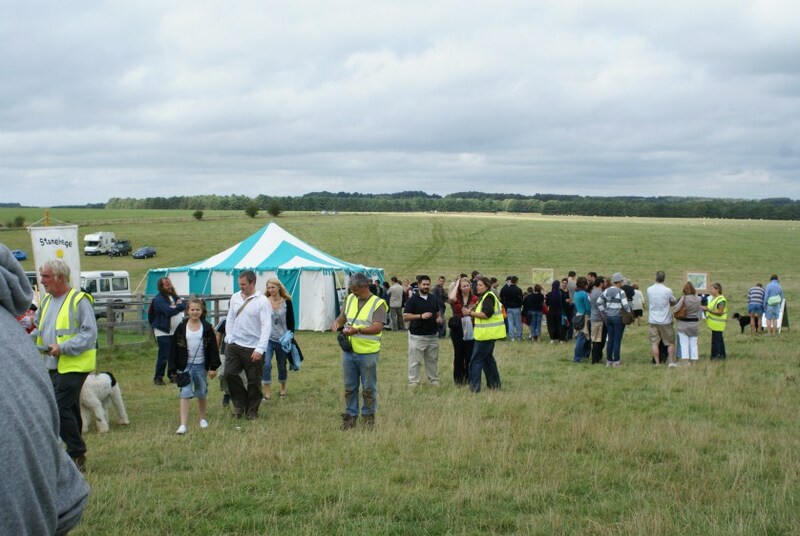 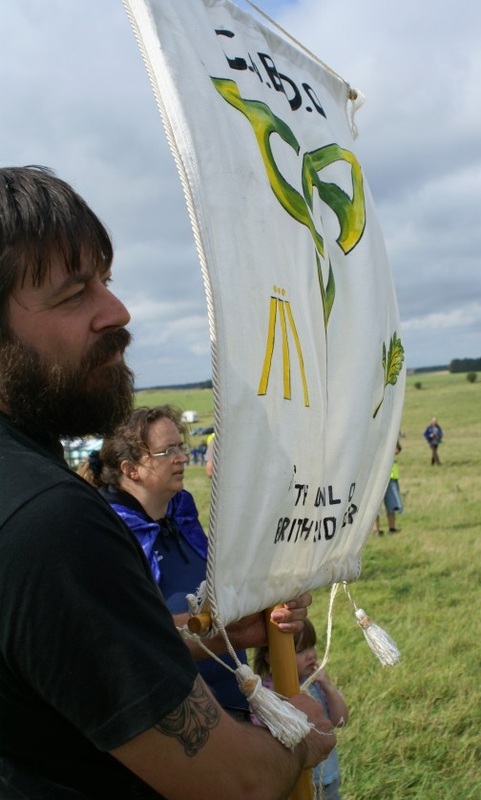 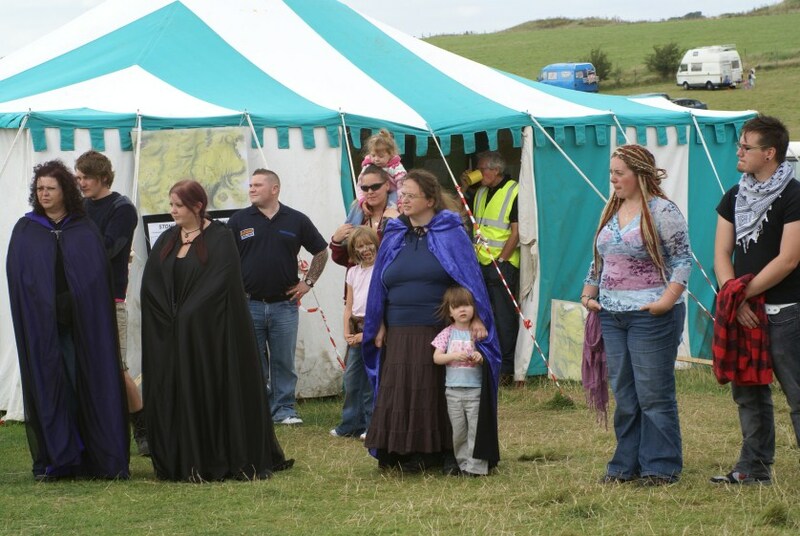 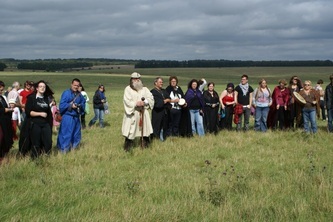 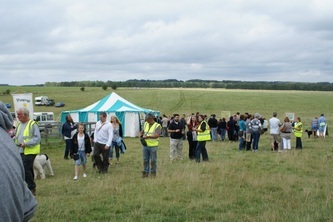 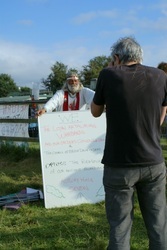 The gathering then moved down the field to where the Riverside Project and joined in a peaceful circle. 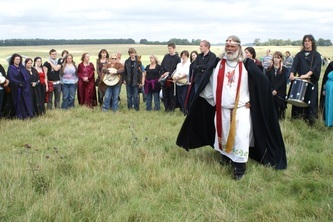 No one performed a blessing on the removal of the remains and a campaign was started to ensure they were returned once they had been studied. 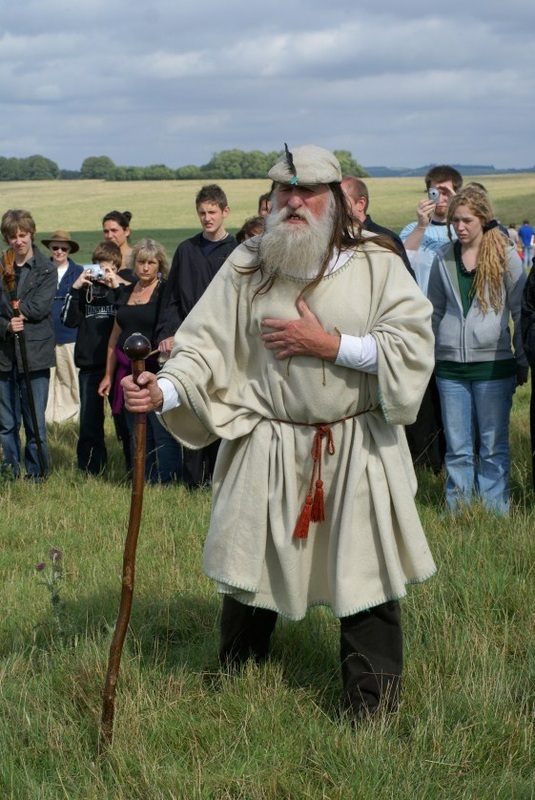 No one has said we are against studying the past, we feel this is essential. However, those remains were placed there for a reason by people far wiser than us (with all our scientists they’ve still not worked out how they built Stonehenge or what it’s for!) Many believe that these remains are the Guardians of Stonehenge. 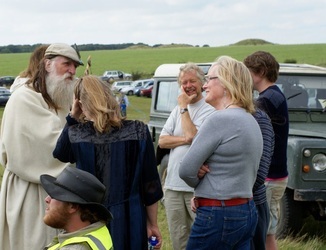 There is great debate. 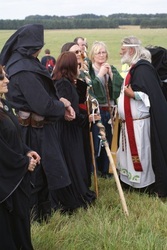 The one thing that all agree on is that it is a matter of common decency. 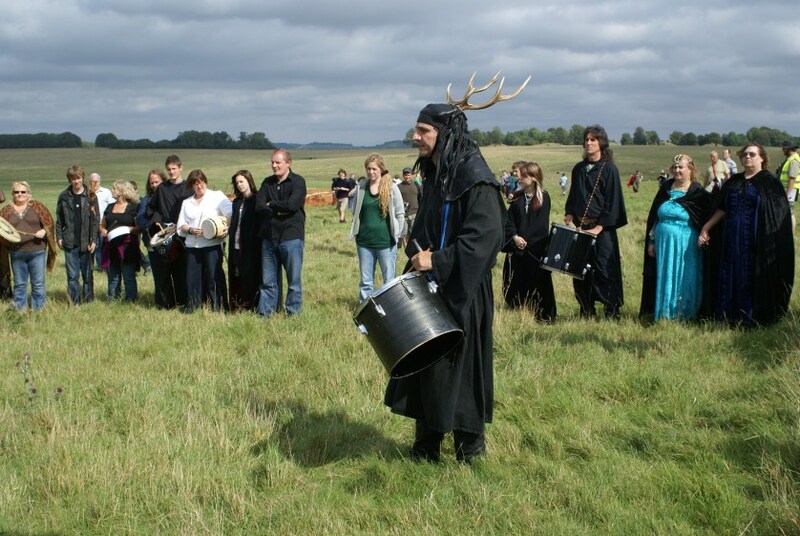 Let those at rest – stay at rest and not left in a dusty drawer locked up in a museum forgotten until the next student decides to do a thesis!